Spoon our Chimichurri on meats, vegetables, potatoes or eggs. Toss with pasta or enjoy on crusty bread. 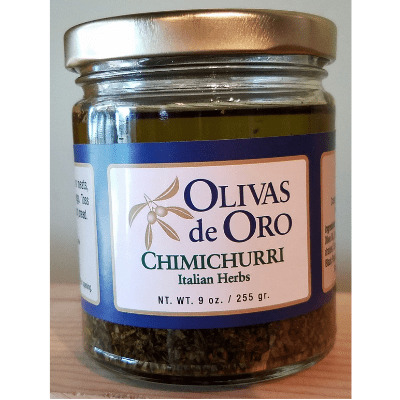 Ingredients: Olivas de Oro Tuscan Blend Extra Virgin Olive Oil, dehydrated parsley, red wine vinegar, dehydrated oregano, garlic, lemon, crushed chilies, black pepper, sea salt.